The coincidental timing of Diamond Platnumz and Hamisa Mobetto being in Dubai at the same time left Zari very unsettled. She went to bed feeling very disturbed and on waking up, she had a few notes for the men, but most importantly, her baby daddy who is blessed with a girl child. "Good morning fam, this one is for the players. Are you the type of guy you'd wish your daughter to date some day?" "Would you welcome a guy like yourself to date your daughter?" "Shout out to real men out there respecting themselves and being role models to their children showing them what's wrong and right....to the real men playing parental roles in their kids lives, to men who respect their families you're the real MVP." ''Coming from a person who is still a player, this is ridiculous....."
"But I feel so sorry for Zari sometimes Diamond's behavior is embarrassing I hope one day he will change.."
"I don’t know why people are making a big deal out of it. People should get used to seeing us together, he is the father of my child and we will be seeing more of each other,"
"It's not true that we met with Diamond Platnumz in Dubai, I don’t know where people are getting these stories from." The man himself is quiet, but the ladies are reacting. 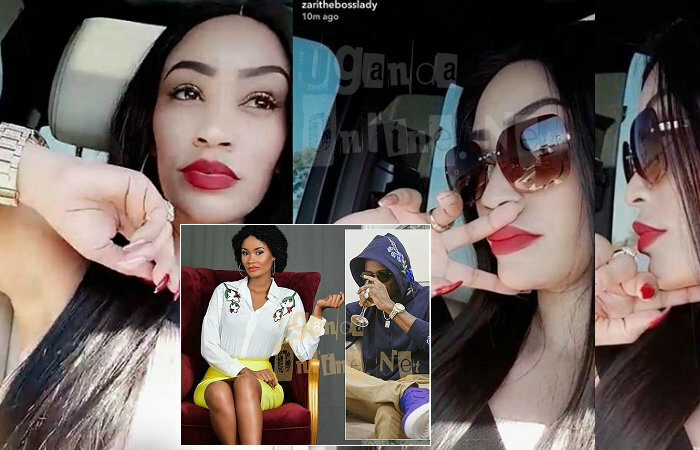 After what happened between Diamond and Hamisa in Tanzania, Zari has every reason to worry when these two coincidentally meet in Dubai and for Hamisa to say that they did not meet is very okay, but we've known her for keeping 'receipts' for the longest time possible and she can always avail them when the time is just right. And like she has said, you had better get used to seeing them together now that the two have a child together.